Our Final Fantasy XIV group has ended up taking about a month long break following the launch of the 2.4 patch. For various reasons we have not rallied the troops on Tuesday nights, and as such we have opted to move our group content night. Tuesday has turned out to be just as bad a day to do anything serious as it was in every other MMO. For some reason it seems that Final Fantasy XIV patches more often than not late Monday night leading into Tuesday morning. This means along with the normal weekly reset we are often times dealing with marginally unstable servers. Since Monday tends to be a night where most folks focus on getting the last poetics needed to cap for the week, we figured it was also a relatively low volume raid night. So going forward we are going to try and pull together 8 man group content Monday nights with whomever we can muster at the time. Often times who we have available will dictate what we can do. 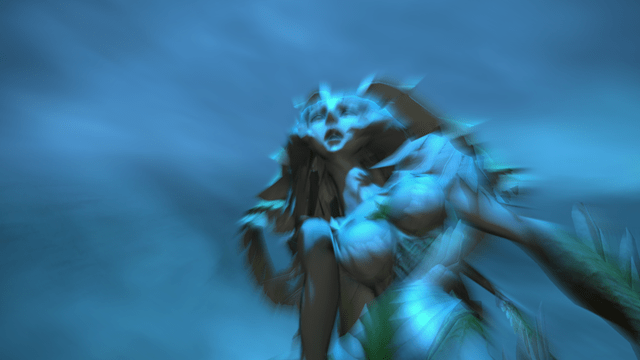 Last night we started off with Shiva Hard Mode, since most of us had not actually completed it. I have to say the fight was rather enjoyable, and it was kinda like a strange mishmash of titan and ifrit. It took us a couple of tries to see all the mechanics and then we straight stomped her. Granted this is just a hard mode and we are used to mostly attempting extremes. 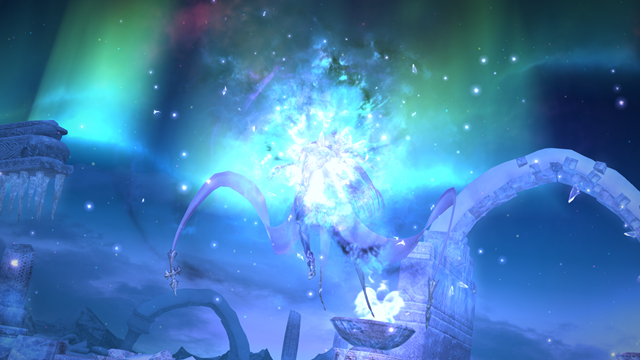 After that we went back and did Garuda Extreme again, because there was at least one member of the party who had not completed it. Traditionally we would be working on Titan Extreme, but it was good to go back and see that we could in fact repeat our victory. Granted it had been well over a month since we had last done the fight, and as such all of us were a bit rusty. However after a few wipes we nailed it like we actually knew what we were doing. Hopefully by next week everyone will have unlocked Ultros so we can take that on as a group, and this should have keyed most everyone for Garuda… so we can make attempts on Titan Extreme again. After our group broke apart in Final Fantasy XIV I opted to poke my head into World of Warcraft and see what mayhem I could cause. I apparently was significantly closer to 96 than I realized, because upon entering the game and beginning work again on the Gorgrond content… I dinged within doing a few of the bonus areas. I still have a handful of bonus content areas to complete, but now this gives me a dilemma. I am at an ideal point to transition to the new zone that unlocked at 96… Spires of Arak. The problem being I have yet to do anything at all in Talador other than set up my garrison outpost. It looks like a really cool zone… but I am wondering if doing it will basically screw me for getting into normal mode dungeons. 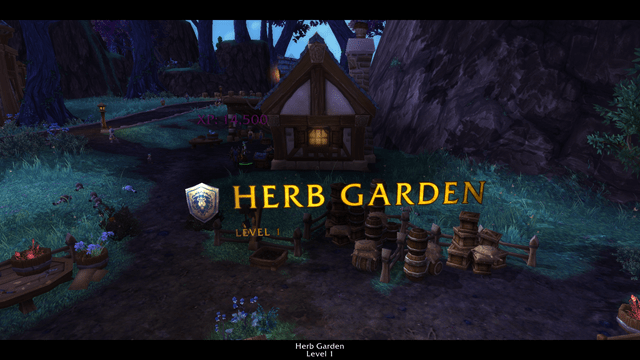 The problem that I ran into with Pandaria is that I leveled significantly quicker than the content would normally allow… and this means that I ended up needing to skip entire zones in the process. Normally I would keep plugging on, but I would really like to be available for at least a normal mode tank when I reach 100. The gear level that I came into the expansion with is just not going to hold long enough for me to do meaningful content. It was my experience in Pandaria that if you could get into Townlong Steppes and Dreadwastes at the level cap to enter them… you could end up getting enough gear upgrades from questing that you were more than ready to set foot into normals… and quite possibly you were within an upgrade or two away from being able to do heroics. I guess in theory I could keep plugging away at Talador and simply finish all the content in the game before worrying about doing dungeons. Ultimately I do want to finish the content, because this expansion actually has a storyline that I care about for once. I guess my only desire to rush to 100 is so that I can get in on the initial wave of folks needing to run dungeons. While tanking for strangers was not as bad of an experience as I had expected… I feel like once everyone hits cap that experience will degrade significantly. Ultimately I will need to make a decision and move forward. Right now I am leaning heavily towards just skipping Talador entirely for the moment and diving into the Spire of Arak for maximum upgrade potential. At midnight of last night another game launched that will be fighting for my attention, or significantly earlier than midnight if you know how to use a VPN to cause yourself to show up as another region. This once again is proof positive that region lockouts are dumb, because they are so painfully easy to circumvent if you really want to. I however did not care enough to do this, and my Monday night was already pretty full so I just waited until 11pm my time to get in and play the game. 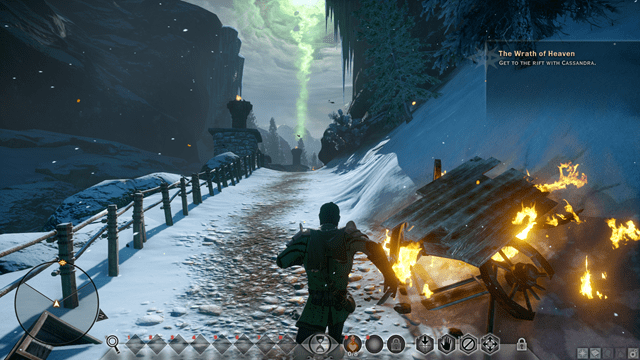 Dragon Age: Inquisition is a game with so many hopes wrapped up in it, that can either be booned or bashed within the first few hours of game play. Will this game return to Dragon Age: Origin style game play, or will it be more akin to Dragon Age 2. Quite honestly I don’t have an answer for you yet because I just have not seen enough of the game. I am however already questioning my choices, and thinking that maybe I should not have gone sword and board tanky. The game unfortunately gives you a tank for your very first character, and while I have not even completely the introduction… I am already having flashbacks of trying to make two tanks work to keep Alistair in my party. The description mentions having proficiency with a two hander as well, so hopefully one of us can equip one of those and be done with it. Quite honestly the game felt a little sluggish, but I think maybe I had something installing in the background when I made my attempt to play it. For whatever reason it seemed to run silky smooth.. and then absolutely thrash the hard drive every so often without much rhyme or reason as to why. My hope was that it was just a background process thing… and not the game doing something dumb like trying to dial into the dragon age servers periodically. The game took a significant time to load… which I do think we can probably blame on busy servers as everyone was trying to launch the client at exactly midnight. Hopefully as the week goes on, I will have more to report on it… other than it exists. No matter how smoothly this Thanksgiving goes… it was going to be a rough one regardless. This is going to be the first dinner without my grandmother, who has been such a fixed point and an anchor in our family. She represents that last in a long line of degrading family events that pretty much means all of the normality that I grew up with as far as family and holidays goes is gone. When my grandmother on my fathers side passed away, those meals just stopped in any semblance of order. We would say that we would try and get together, but ultimately we each made a quick visit in private to my grandfather… and that reason for maybe passing each other in the drive way even left when he passed away. Similarly with my wife’s family… when he step dad passed away the era of having big family meals went away… and folks opted to break apart into much smaller units. The last bastion of the big family get together was my Grandmother on my mothers side… and this past year she passed away. Predictably holiday plans have been non functional. Thanksgiving has always been one of my favorite holidays, because it is one of the last pure ones. Sure the day after thanksgiving is this black mass to consumerism… but thanksgiving day itself has remained relatively pristine. It was a day about getting together and having a meal with your family, and that mission was just simple enough to stay pretty true to its original goal. There is something about sharing a meal with friends and family that is just special to me… and for years I tried to convince my family to turn Christmas into Thanksgiving 2.0… where we just got together and shared conversation and food… and forgot the presents. My grandmothers house was this focal point of all of the family activity. She was such a strong matriarch and she is as much a reason for why I am the person I am… as anyone in my life is. I spent the majority of my childhood at her house, with her as my companion and friend. So this Thanksgiving was always going to be a hard one, no matter what happened. The interesting thing that I have noted as we have gone through a series of recent funerals is how well my generation seems to get along with one another. When my grandmother passed away, I stayed long after most of the folks had left just talking to my cousins. My generation just does not fit into our family as a whole… we went out into the world and for the most part all did something with our lives beyond the boundaries of the small town my family hails from. The other day my wife was lamenting how strange Thanksgiving would be without my grandmother on facebook, and at this one of my cousins announced that she was intending to invite us to have the meal with them. Apparently she had gone through the same malaise and similarly they had a few deaths in their family that pretty much ended up with the holiday decimated. So as such here we go trying to start our own new traditions. Hopefully Thanksgiving will go smoothly, but in any case it will be better than spending it without family. I stayed up late to fire up DA:I on the PS4 just because I wanted to get my Dragon Age Keep tapestry thingie imported. I figured tonight getting that done is going to be a real challenge. I’m hoping that now that it’s imported I’ll be able to play even if the servers are getting thrashed. In DA:O I played a warrior and immediately got Allistair and was made redundant, sort of. In DA 2 I decided to go rogue so I could pick locks and immediately got Varric and was also made redundant! !